The Sensitive Plant is a native species to South America that is common in water gardens in the US. This plant can be used as a floating plant or planted in shallow water around the edge of the pond. Its fern-like leaves are sensitive to touch, folding its leaves inwards to protect itself from harm. At nighttime, leaves will also fold and “wake up” in the morning, making this plant an interesting addition to any pond. In addition, they provide shade and protection to pond fish, specially smaller vulnerable fish. 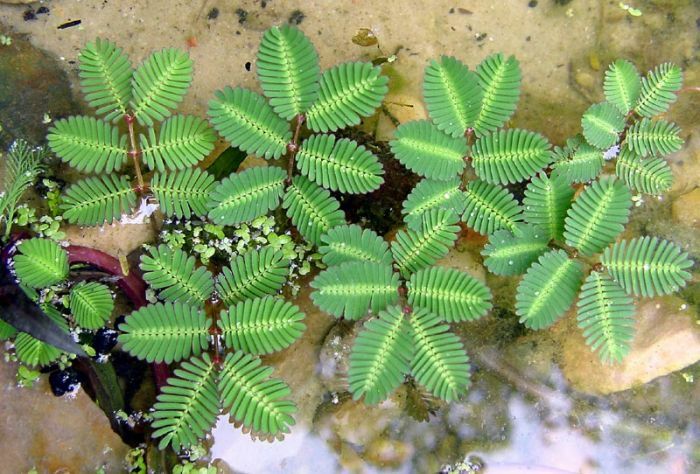 Below is a video of a Sensitive Plant reacting to touch.